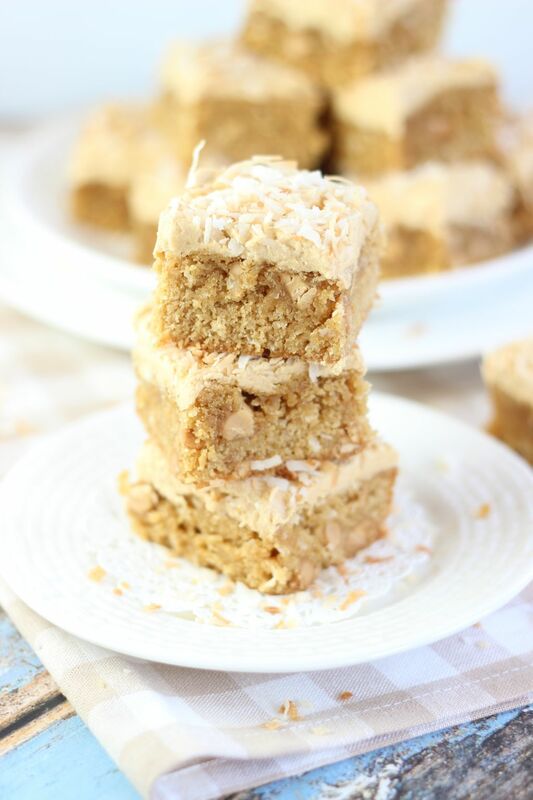 Soft and chewy peanut butter blondies, filled with lots of shredded coconut and peanut butter, and topped with peanut butter frosting and toasted coconut. 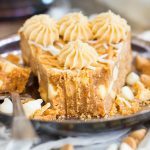 I hear you… when you think about flavors that pair well with peanut butter, coconut isn’t the first one to come to mind. Or it didn’t come to your mind at all. It wasn’t even in the top 100. 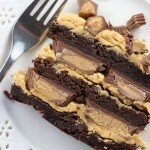 Yes, yes, chocolate, bananas, marshmallow. All the usual suspects. I almost forgot to include jelly. Although, does anyone really eat peanut butter with grape jelly anymore? For the most part, people prefer strawberry jam to grape jelly these days, right? 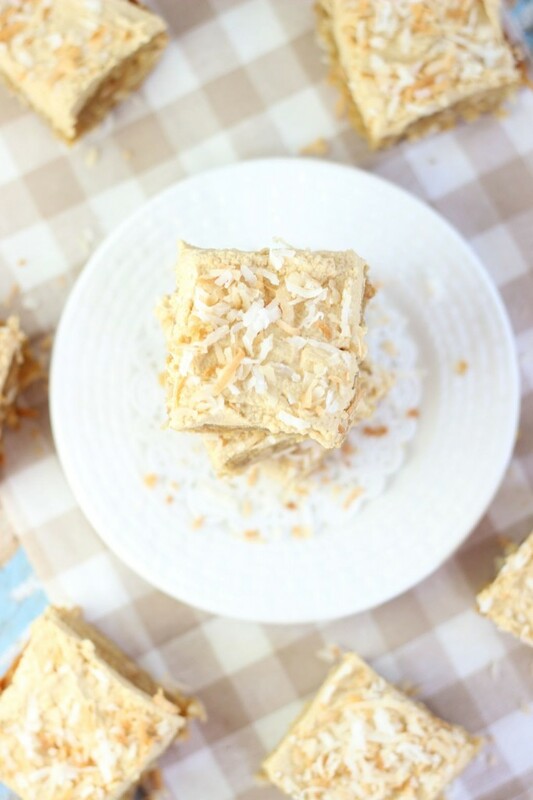 If the coconut flavor in these bars was really strong, I could see how it would compete or overtake the peanut butter, or even downright clash with it. Instead, it accentuates it. 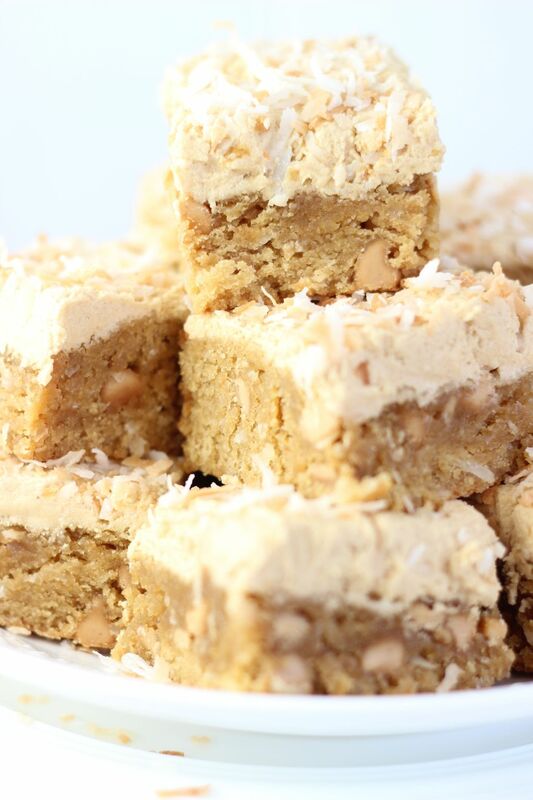 I learned this about coconut after I made this recipe for peanut butter protein balls that I found in a magazine. The recipe called for coconut extract. I thought it was strange and I almost left it out. 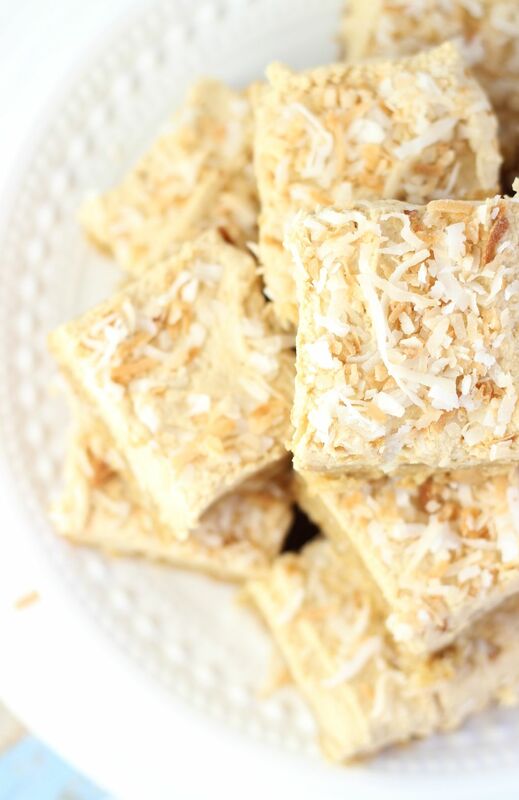 What could coconut add to chocolate and peanut butter, a duo that is already top notch and tough to beat? The answer is: EVERYTHING. Okay, not everything, but it added A LOT. Chocolate and peanut butter are a stellar combo by themselves, yes, but the coconut extract really made these protein balls stand out in a sea of a million other chocolate and peanut butter snacks! 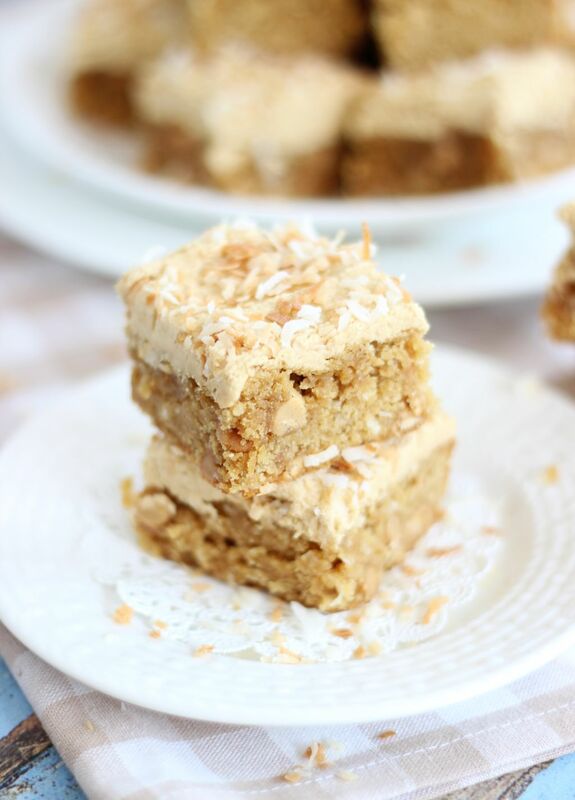 It got me thinking that I should base an entire peanut butter dessert (because I don’t have enough of those) around the idea of combining peanut butter and coconut. 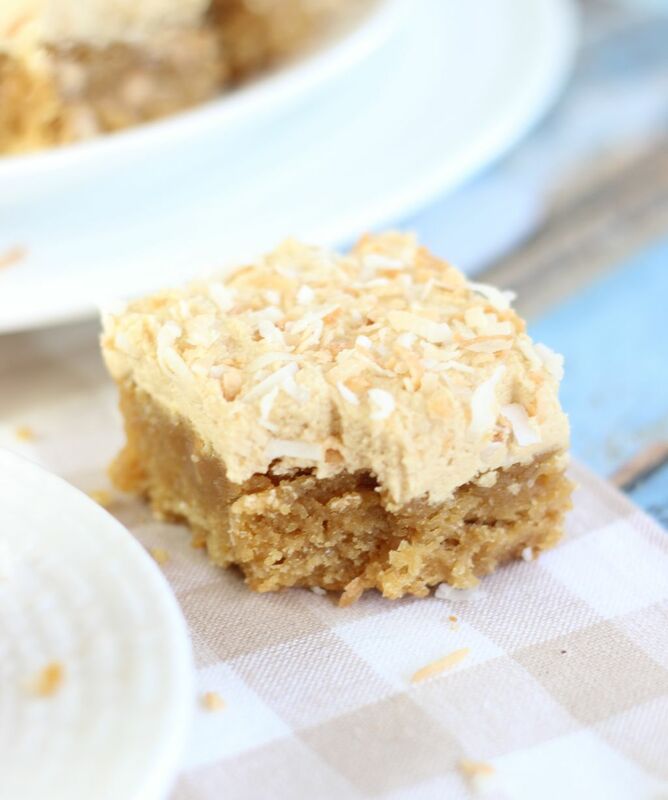 Starting with a buttery and brown sugary blondie base, adding a boatload of peanut butter, and some shredded coconut, you end up with a thick, soft, and chewy peanut butter blondie bar with a touch of coconutty goodness. Topped with rich and creamy peanut butter buttercream, and a smattering of shredded toasted coconut, you have the perfect balance of peanut butter and coconut flavors. 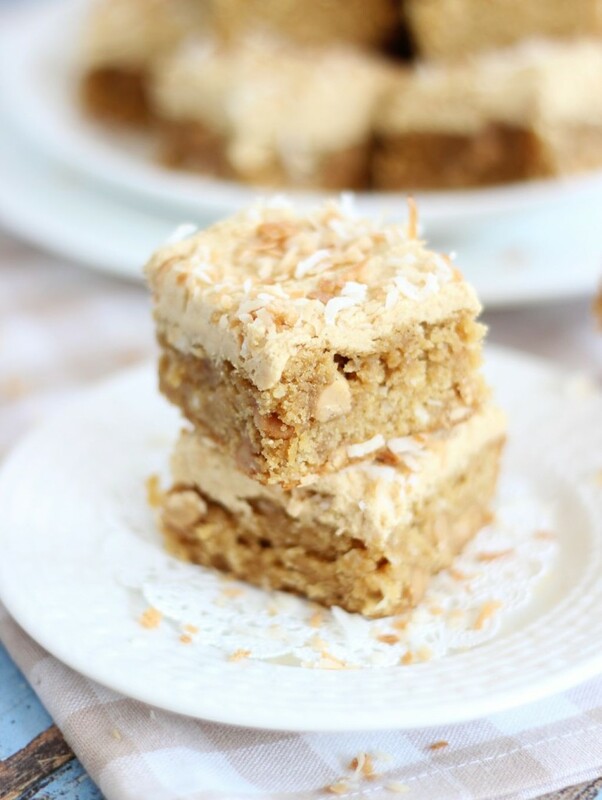 My S.O.was initially skeptical about the flavor combination in these Peanut Butter Coconut Blondies, but he was a quick convert once he tried them, and he truly couldn’t stop eating them. 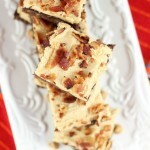 As with most desserts in this household, they disappeared quickly! 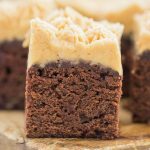 You’ll be surprised at how wonderfully coconut enhances peanut butter if you try this Peanut Butter Coconut Blondies recipe!! I agree, I most often use strawberry with my PB&J and sometimes even apple jelly! 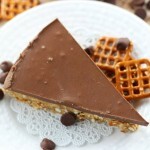 My dad and I make a batch of it every year so yummy. But anywho I don’t think I’ve have coconut and peanut butter together yet beyond using coconut oil and I think it’s time to fix that with these. Oooh, coconut oil though! That’s a great idea!